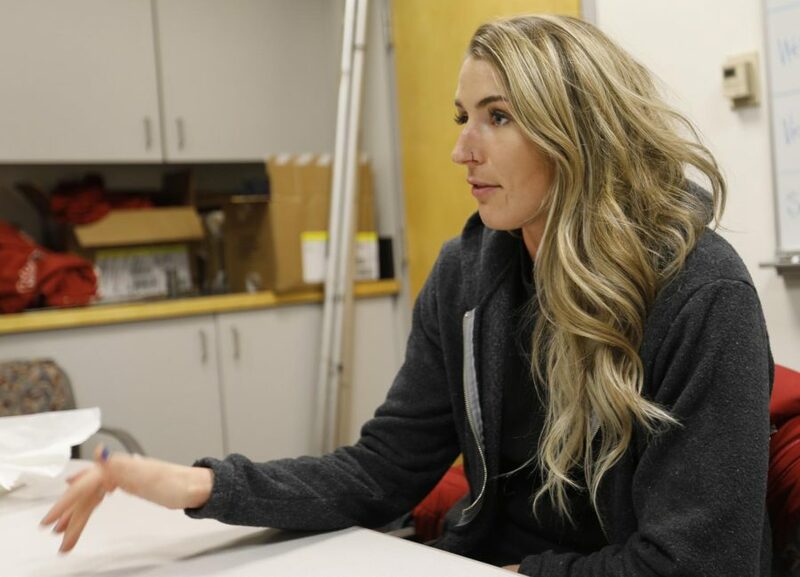 Alissa Brooks-Johnson talks about how she is preparing for the NCAA Indoor Championship and her decision to medically redshirt during junior season Monday in Bohler Gymnasium. Redshirt senior multi-event performer Alissa Brooks-Johnson realized track and field was for her in high school. With the help of her mother and coach, Karen Brooks, she prospered into a student-athlete who has had an illustrious career thus far. 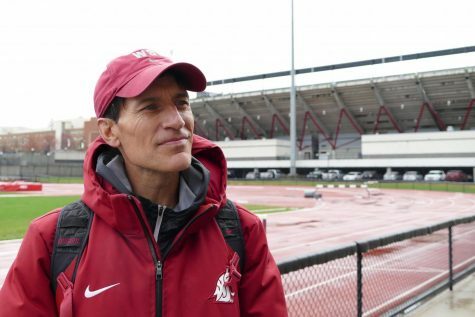 Despite being a four-time state 2B 300 meter hurdles champion in high school, it was not until she was recruited to Pullman that she realized track and field was her calling. Director of Cross Country/Track & Field Wayne Phipps said it did not take long to realize what kind of potential Brooks-Johnson had. Brooks-Johnson also posted a then-seventh-best mark in WSU history in the heptathlon with 5,325 points in her freshman season. She won the Pac-12 combined heptathlon her sophomore year, and after requesting redshirt eligibility due to medical reasons, she was awarded All-America first team honor in her redshirt junior season. Even though she has competed at multiple championship events throughout her career, this year is the first time she will compete at the NCAA Indoor Championships after posting a score of 4,212 in the pentathlon at the Cougar Indoor in February. 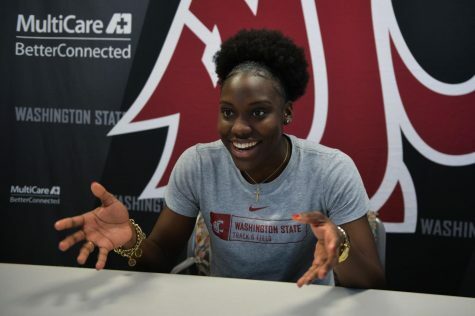 Brooks-Johnson is the only Cougar competing in the NCAA Championships and said she feels honored to have the opportunity to represent her school and teammates. 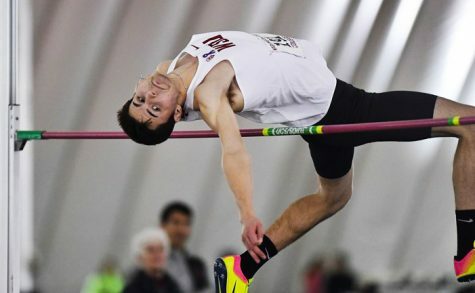 “I’m very happy and proud of myself that I made it to the nationals in the indoor season just because I feel like I’m more of an outdoor athlete … so to make it this far is great,” Brooks-Johnson said. Phipps said Brooks-Johnson’s work ethic has made her stand out. 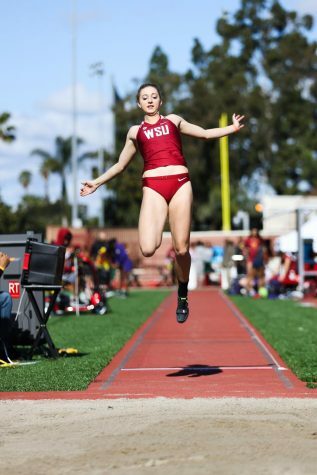 Most recently, she competed at the Mountain Pacific Sports Federation Indoor Championships and posted a 4,040-point mark in the pentathlon, good for third place. 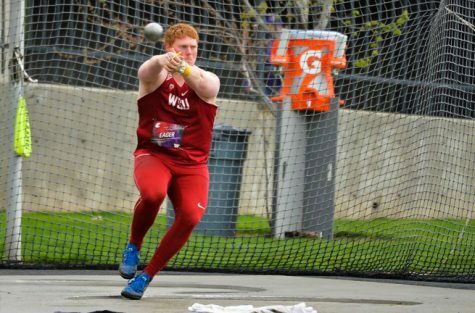 Phipps said the wear and tear of the season impacted her performance at the MPSF championships. Brooks-Johnson said she will come into the NCAA Indoor Championship with a different mindset. 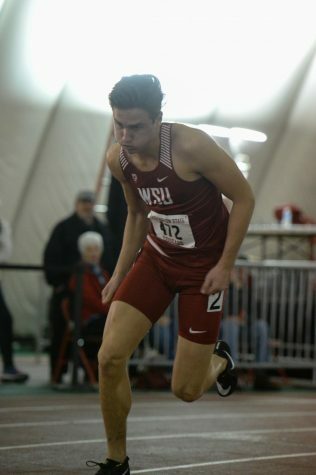 Phipps said the events that held Brooks-Johnson back from a higher score at the MPSF championships were uncharacteristic of the track star. Brooks-Johnson will begin competing in the pentathlon 10:15 p.m. Friday at Gilliam Indoor Track in College Station, Texas. 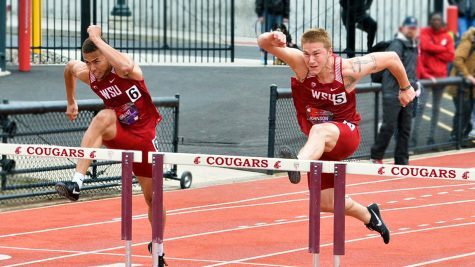 Live results and streaming can be found at wsucougars.com. Brooks-Johnson said she isn’t going to allow the stage and the bright lights affect her performance.